Tali Salt & Pepper Shakers - TT139 [TT139] : No Skew Turns, Gifts handcrafted from the world's beautiful woods. 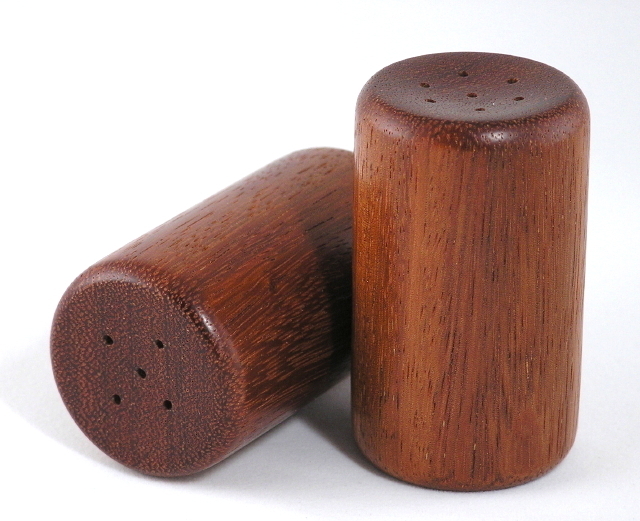 These shakers are turned from Tali, a fairly heavy African hardwood, and were created from a single turning square. The shakers have subtle light and dark vertical stripes where the grain direction reverses. One has five holes, and the other seven. You choose which will be which. Return to the Product Listing for care instructions.